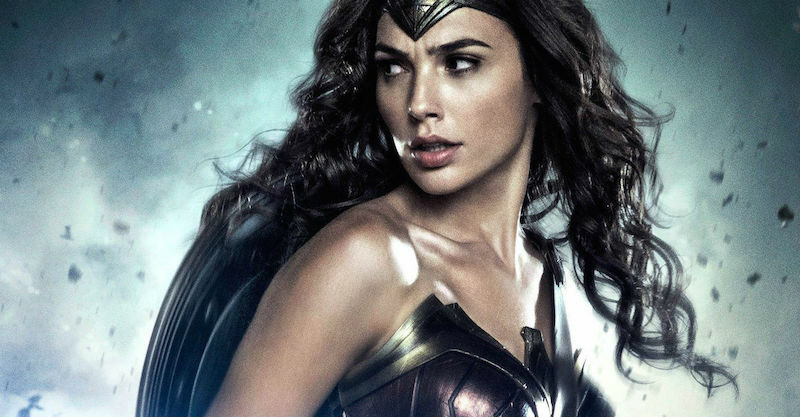 Warner Bros. Pictures and DC Films drops the second official Wonder Woman trailer online. The promotional video contains new footage and a voiceover courtesy of Princess Diana. She appears in modern time, telling the story of her disillusionment with humanity and the world. She refers to the outside world as, “This beautiful place. But the closer you get, the more you see the great darkness within.” Words spoke to indicate a very harsh reality check for the Amazonian at some point in her tale. Paradise receives an interruption by a crash-landed pilot known as Steve Trevor during World War I. The first man she meets with dangerous baggage. There is an attack on the island and implied Amazon casualties. Trevor’s warning of imminent death motivates the princess into fighting for innocents. In contrast to the first trailer, its successor expands the scope of the film. Diana dives to save the future ally. Wide shot of the island, delivering the epic aesthetic. More hints as to who and what are primary threats to mankind. Maintaining the cultural accuracy when someone asks, “Who is this woman?” Epic moments of combat with her powers and the Lasso of Truth. Wonder Woman stars Gal Gadot(Wonder Woman/Diana Prince), Chris Pine(Captain Steve Trevor), Robin Wright(General Antiope), Connie Nielson(Queen Hippolyta) and Lucy Davis(Etta Candy). Wonder Woman hits theaters nationwide on June 9, 2017, and is directed by Patty Jenkins.